Growing out your short hair isn’t that difficult task as styling it every day. Surely having long hair you have more hair styling ideas and opportunities, however, it’s not always that these ideas work. There are days that you may be too busy or too lazy to spend more than 5 minutes in front of the mirror styling your long tresses. 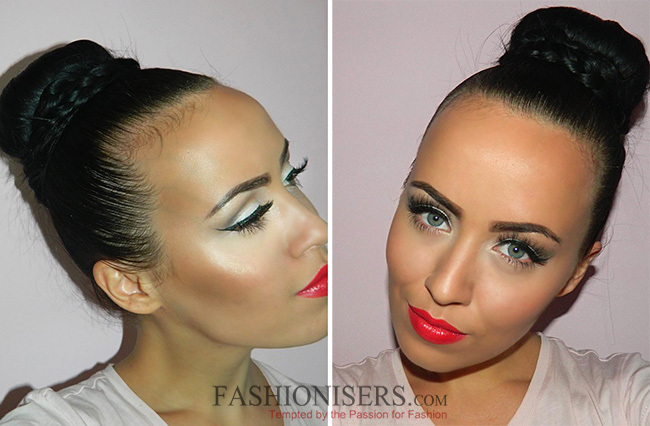 And here buns come to rescue with a sock bun being one of the easiest styles to achieve. 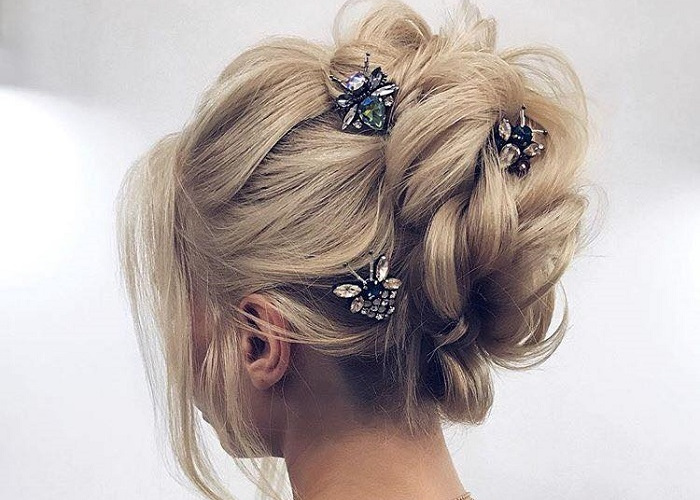 Besides being so easy to style, sock buns also look very versatile and chic, an ideal look to be sported to work, to parties or just every casual day. In case you want to add a spin to an ordinary textured sock bun, check out this braided sock bun tutorial and inject a flirty touch to your casual looks! For styling a braided sock bun you’ll need a hair brush, a doughnut sponge in the color of your hair, 2 elastic bands, some bobby pins, a hair spray and, of course, long or medium-length hair. In case you don’t have a doughnut sponge at your hand, take an ordinary sock in a shade closer to your hair color. Cut the toe out of the sock, making a tube. Then, roll it up, creating a doughnut sponge look. Start on clean straight hair. If you have naturally curly hair, it’s advised to straighten it to make the process easier. Brush your hair and pull it up in a high ponytail, fixing it with an elastic band. The ponytail has to be very tight. Using some hair spray, give a neat appearance to it and fix the unflattering baby hair. Now, slide the ponytail through the doughnut sponge, placing it at the base of the tail. Fix the sponge at the base with some bobby pins. Spread your ponytail hair all over the sponge, completely covering it with your hair and giving it a smooth finish. As you are pleased with the result, secure the hair in place with an elastic band. Next, start plaiting the remaining hair into an ordinary French braid. You can also style a fishtail braid of it here! As you are done with the braid, roll the bun with the braided tail. Secure the braid with bobby pins and apply a hair spray at the end for a smoother look. As you see, the textured braided sock bun doesn’t require professional hair styling skills, neither is it time-consuming! In just 5 minutes, you are ready to go out partying with your friends or just walking around in the city! Put on some makeup and radiate chic and elegance!